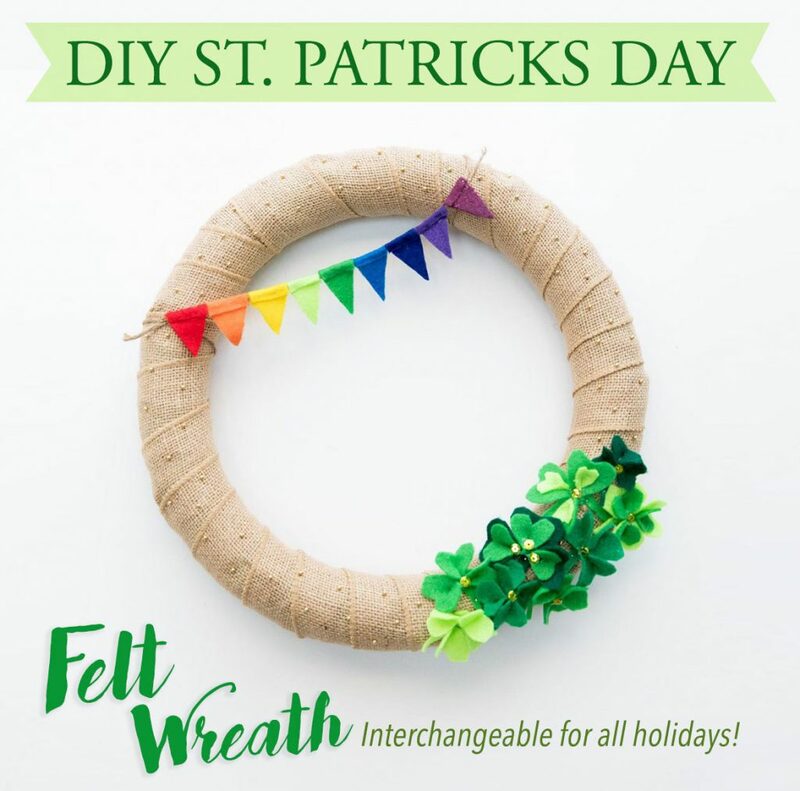 So here’s how to make your St. Patrick’s Day wreath! 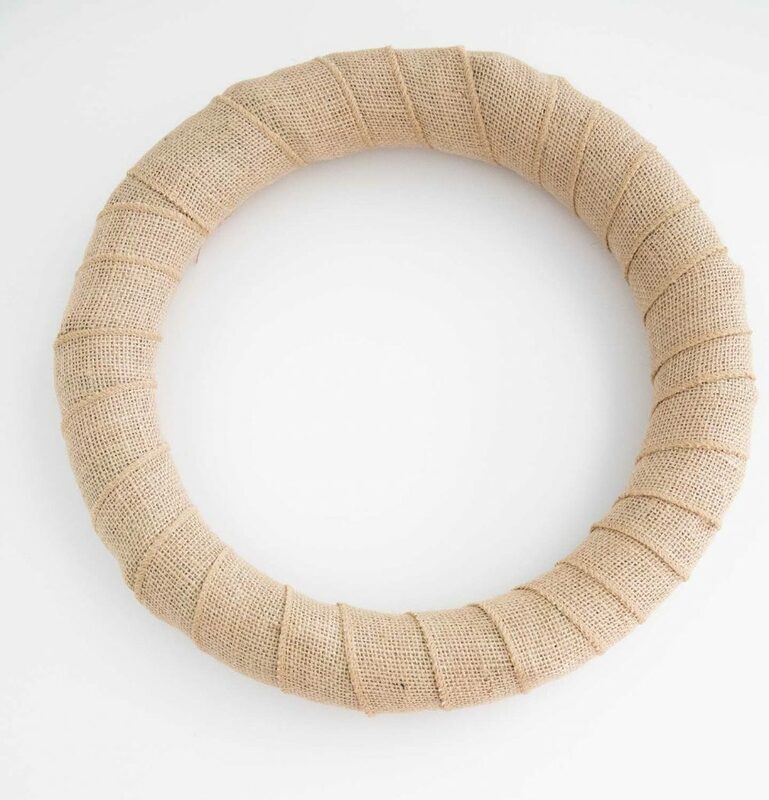 Glue the end of the burlap to the back side of the wreath and begin wrapping. 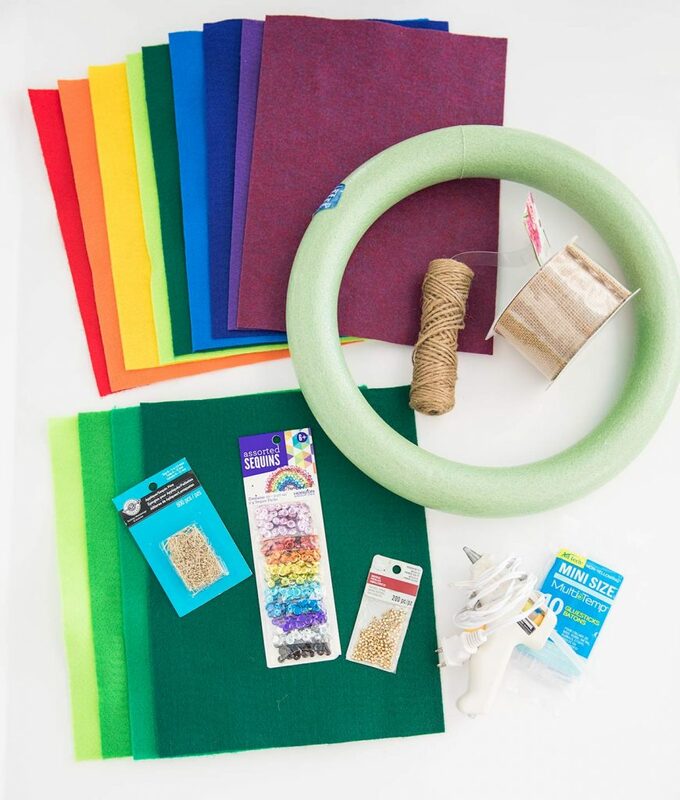 One spool of ribbon worked for me! 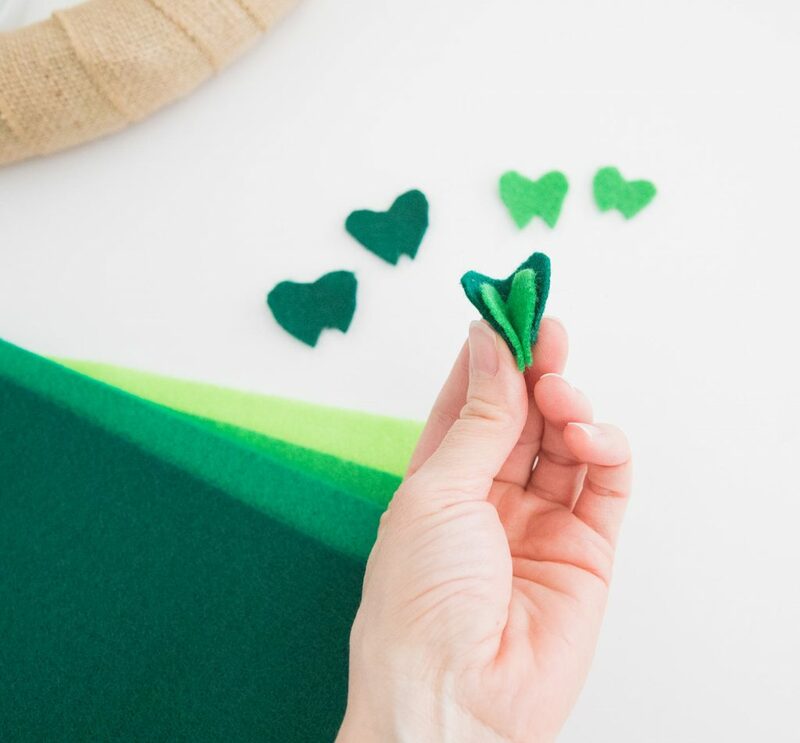 To make your felt shamrocks, cut out small heart shapes from felt. Open a “V” in the bottom of each leaf to create the shape. 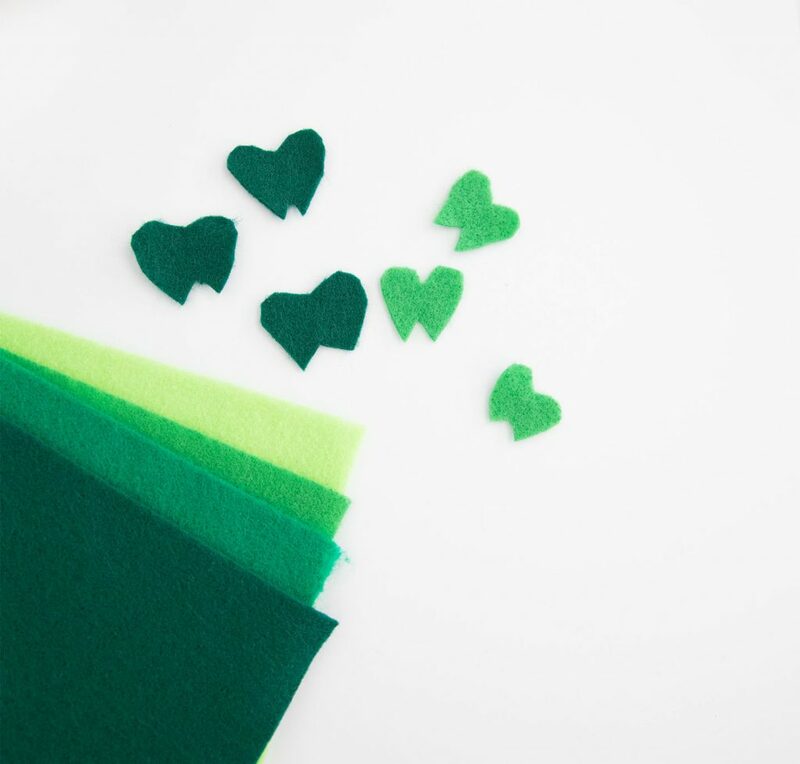 For the larger shamrocks, cut out two sizes of leafs in two different colors for each leaf. To make the leaf, layer the smaller leaf on top of the larger, lining up the opening at the bottom. 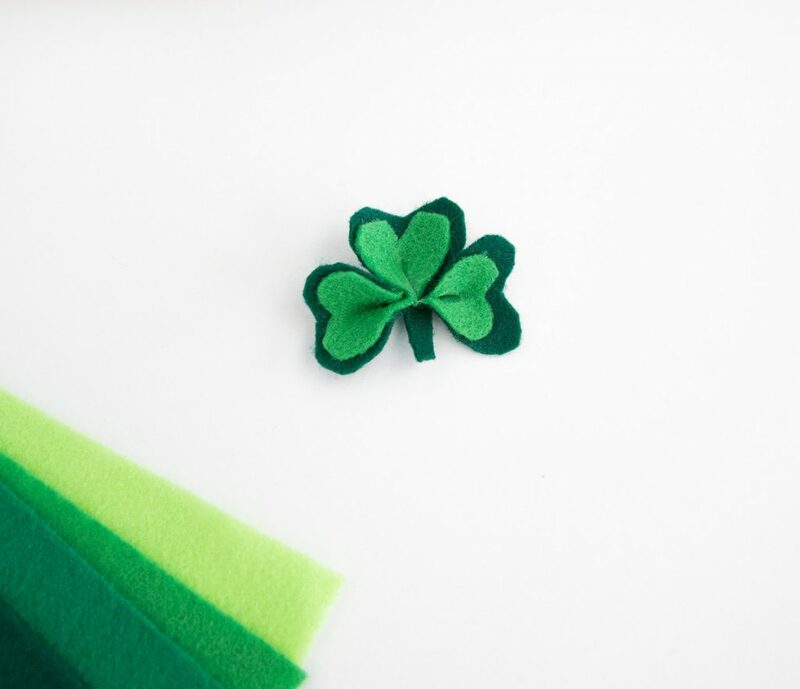 Fold the leaf in half and hot glue them pinched together to make your shamrock! I used three or four leafs per shamrock. Most of mine have three leafs, but I added in couple four leaf clovers for luck too, I also added a little stem. 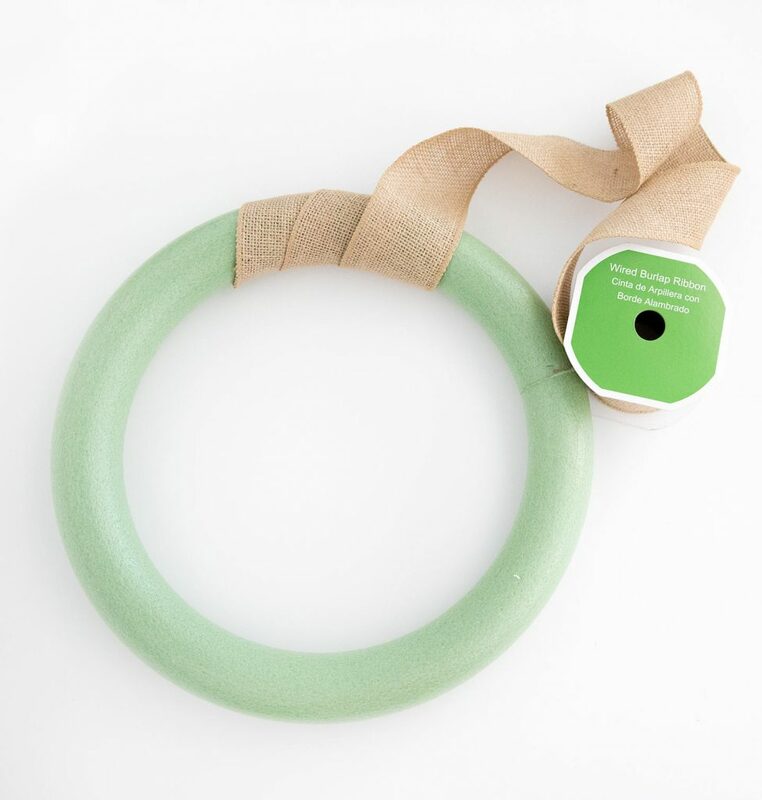 I glued the stem to a small circle of felt for the base, using the scraps from the leaves. For the center of the shamrock, I hot glued lime green sequins. Finish by adding the shamrock with the little gold pin! This also allows you to change it up if you ever want to! 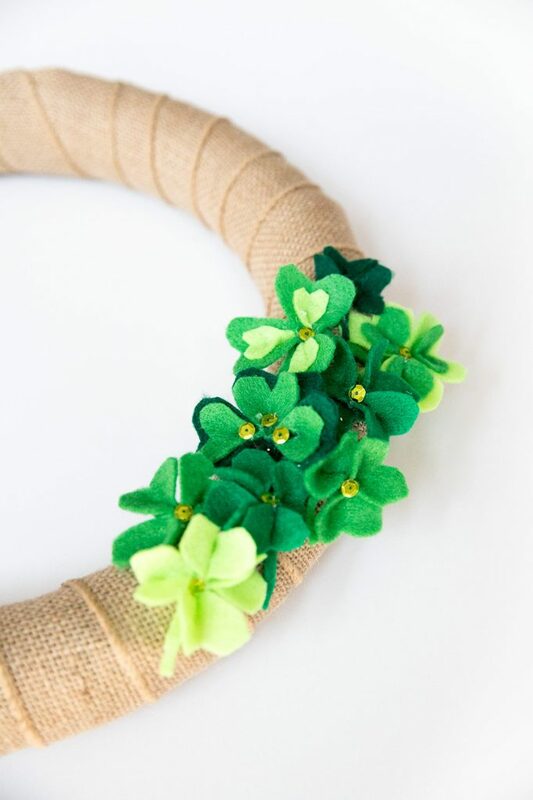 Make up a bunch more shamrocks in different sizes and colors to fill in the edge of your wreath. 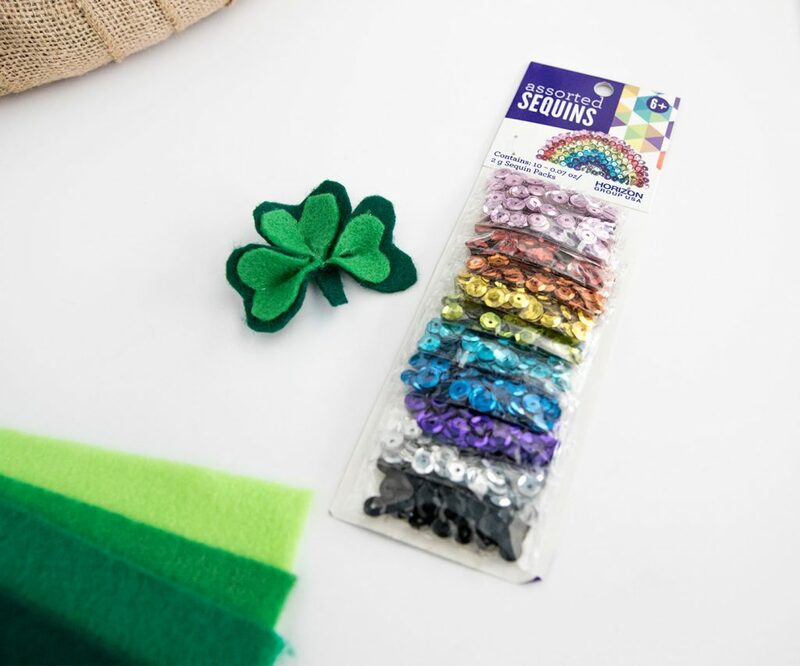 Once you’ve created them all, pin all the shamrocks on the bottom side section of your wreath. 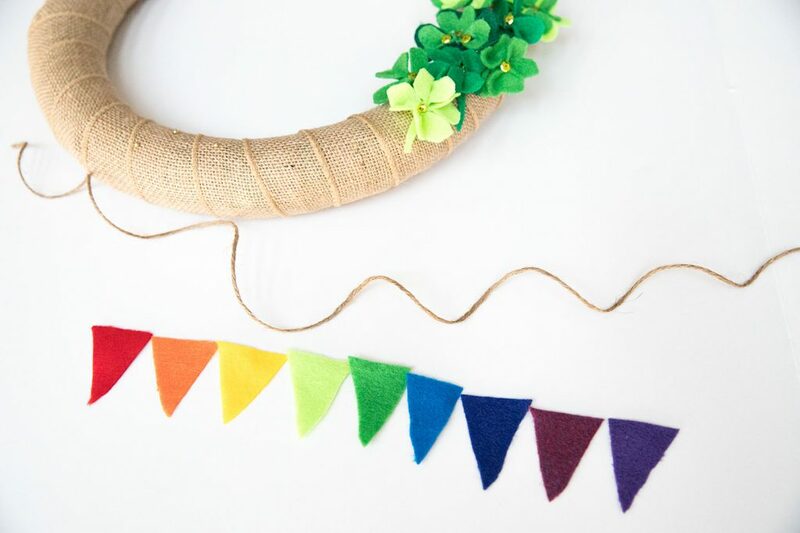 For the banner, cut out several triangles of felt in rainbow colors. I hot glued them to a piece of twine. 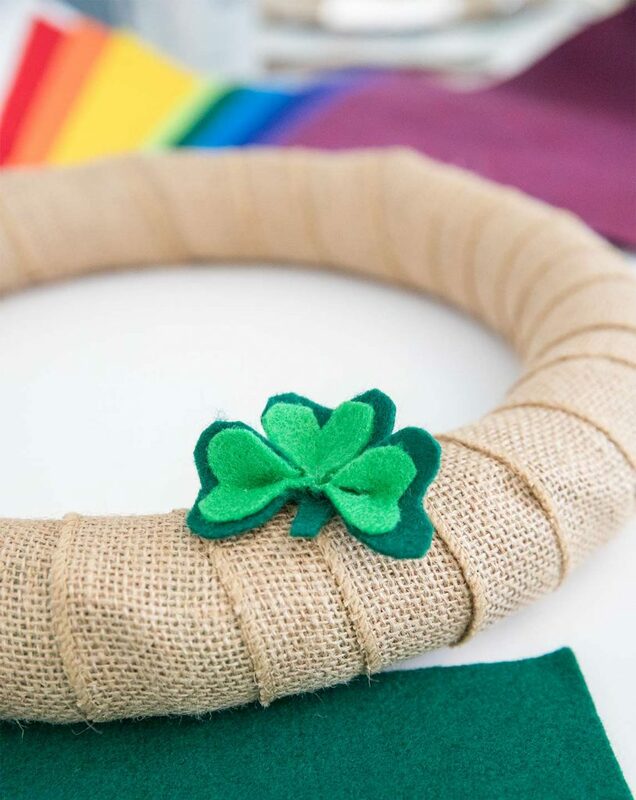 Once finished, pin the banner to the top of the wreath, opposite the shamrocks. Finish off the wreath by adding the gold beads and pins! 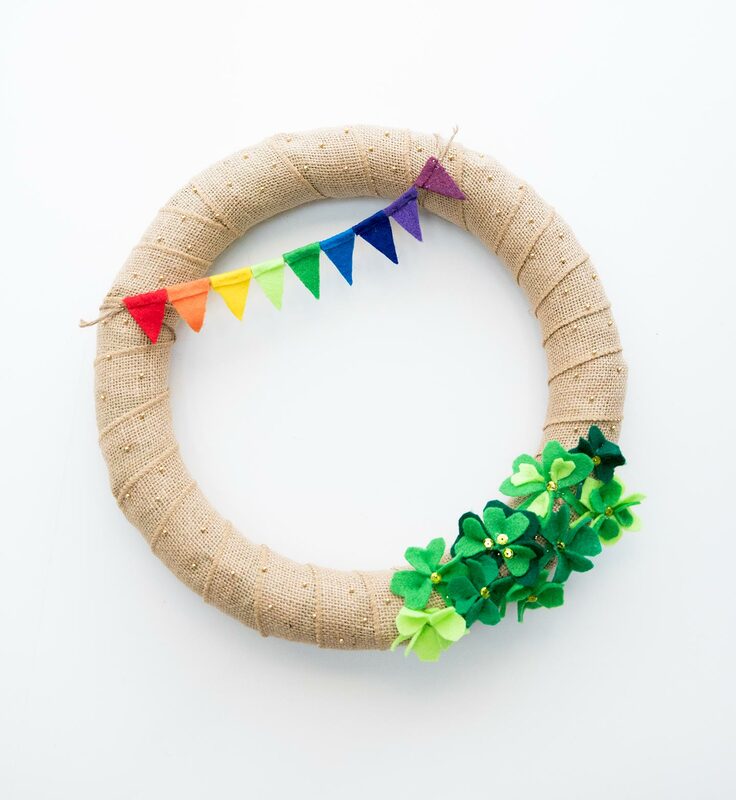 The gold beads give the wreath an extra sparkle, almost like flakes from a pot of gold at the end of a rainbow! I hope you’ll make one! If you enjoyed this project let me know in the comments below.